Candace Cameron Bure and Valeri Bure are one of the world famous couples and are highly recognized for their strong bond romantic relationship. They are officially husband and wife since 1996 and recently reached their 21 years marriage anniversary. Candace Cameron Bure is an American actress, producer, and author who is widely known for her role as D.J. Tanner on the popular American television Full House. 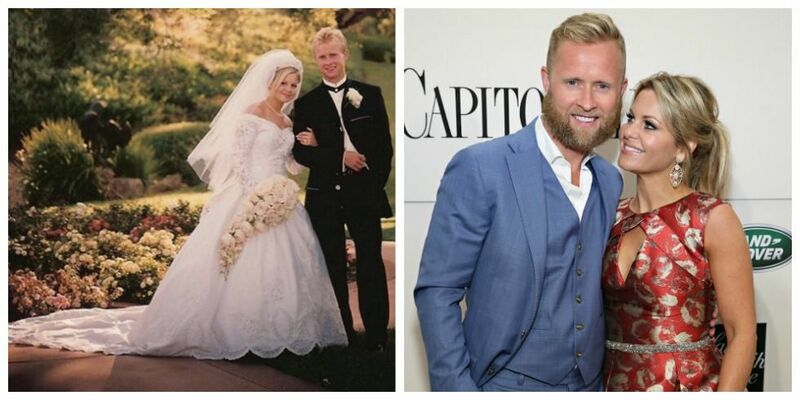 Her husband, Valeri Bure, is a Russian-American former ice hockey right winger who played 10 seasons in the National Hockey League (NHL). The pair is parents to three children. Let's learn about their love affair and married life in detail. Stay with us. The 43-year-old former professional ice hockey player first met the 41-year-old season 18's Dancing with the Stars contestant when they were just kids, but growing up together hasn't caused them to grow apart. After years-long dating, the couple finally married on 22 June 1996 in a lavish wedding ceremony. The couple has successfully defeated the curse of short-lived Hollywood marriages as they recently rejoiced their 21 years of marriage. Candace, in honor of their anniversary, posted this amazing throwback picture of the pair. You know what, one of the most important facets of the long-lived marriage is how much a couple enjoy spending time together and the couple has enjoyed every moment of their marriage. In fact, they celebrated the milestone at Pebble Beach Resort, golfing, riding horses and drinking champagne. Here's a post they shared last year, revealing their 20 years marriage anniversary. The post featured the pair enjoying horse riding. Another gorgeous day at @pebblebeachresorts celebrating our 20th anniversary. Horses and the beach? I can't get enough. The sister of actress Kirk Cameron, Candace also shared some throwback picture from their wedding day during which she wore a long-sleeved, princess-like lace gown with a sweetheart neckline and a veil. Here's a couple of those posts, check out them. Wow!! This is called the relationship goal, don't you think so? The amazing couple is parents of three adorable children among which one is a daughter, Natasha ( born on 1998) and the remaining two are sons, Lev (born on 2000) and Maksim (born on 2002). Bure cited his family as the reason why he retired from hockey in 2005, after he went through the surgery. He told that he could return from his surgeries, yet he wanted to give more time to his children and his wife. Their 19-year-old daughter, Natasha Bure had taken part in season 11 of The Voice but unfortunately, she was eliminated in the Battle Round on 10 October 2016. The perfect family of five is living happily together. We wish them all the very best for their future.